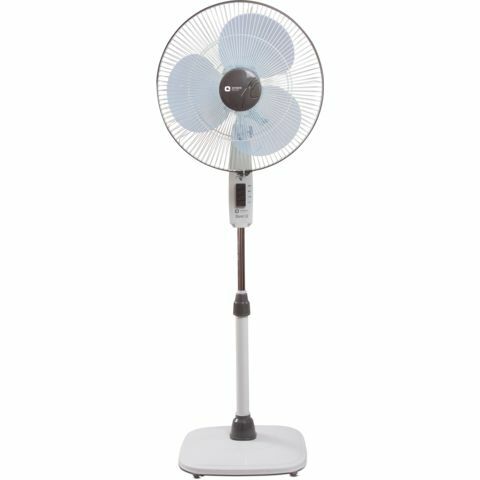 Beautifully designed and developed to serve you for years to come, the Orient Electric Stand 32 fan is available in three different colours, which you can choose from depending on the décor of your room. 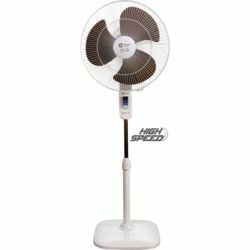 One can easily adjust the height of this fan by contemporary collet, courtesy of telescopic arrangement. The powder coated guard and the polymer ring ensures the longer lifespan of the Stand 32 domestic stand fan. This model is high on aesthetics and sports and attractive switch panel. 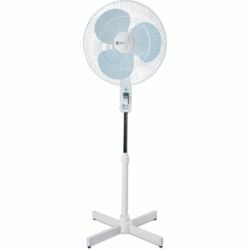 Beautifully designed and developed to serve you for years to come, the Orient Electric Stand 32 fan is available in three different colours, which you can choose from depending on the décor of your room. 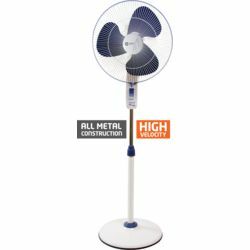 One can easily adjust the height of this fan by contemporary collet, courtesy of telescopic arrangement. 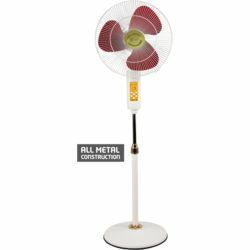 The powder coated guard and the polymer ring ensures the longer lifespan of the Stand 32 domestic stand fan. This model is high on aesthetics and sports and attractive switch panel.